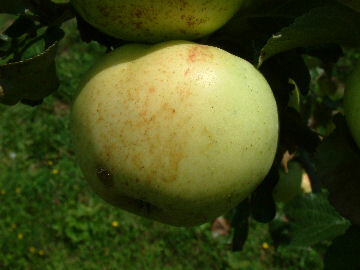 This is an old New York apple which originated on Hog Island, now known as Syosset Island, located near Long Island. Described as a very sweet apple and a very productive tree. Fruit can be large with thick yellow skin striped with red with rough patches of russet. The aromatic yellow flesh is coarse, tender, slightly aromatic and extremely sweet. Ripens September to October. Would like to comment on this particular apple. It is in fact from “Hog” Island which is now known as “Centre” Island located in Oyster Bay ( Long Island) NY. The two families ( Smith & Ludlam) who first settled on the Island farmed and raised livestock there for over 150 years. Do you have any saplings for sale?